As Wimbledon approaches have you ever thought of taking up a racket and giving it a go yourself? If you have then please come along to our open day and give tennis a try. 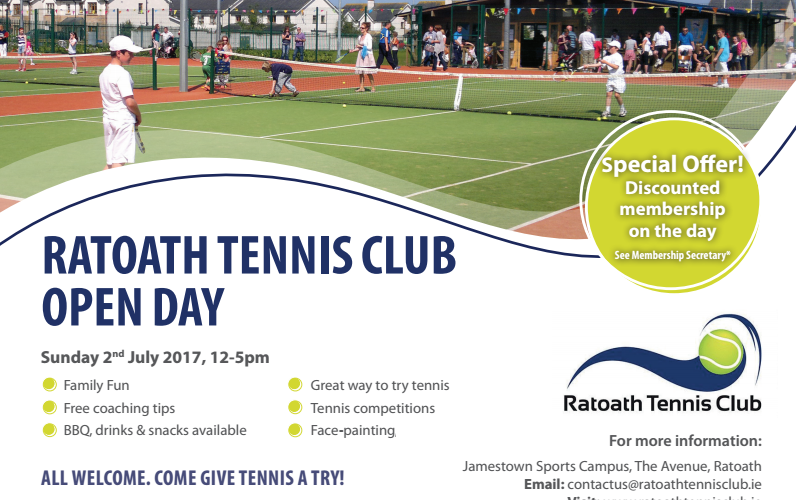 Our open day is for members, friends, families and guests to come along and share a bit of fun with tennis. For all our members drop down and see whats happening. Catherine and Damian will be serving tea instead of tennis balls for a change. If you’re thinking of joining we’re open for membership and Betty will be there on the day to talk to you about the options.